Recovery Lighthouse is proud to offer Care Quality Commission (CQC) approved Cocaine use disorder treatment including therapeutic detox, behavioural rehabilitation and lifetime aftercare services for Cocaine abuse, dependency and addiction in Worthing, a large town, with borough status, located in West Sussex in the South East of England. A key component of the Brighton/Worthing/Littlehampton conurbation, Worthing region is divided into 13 wards and is part of a two-tier structure of local government split between West Sussex County Council and Worthing Borough Council, who offer little in terms of public provision of Cocaine detox and rehabilitation treatment. While residential Cocaine detox is the start of many of our patients’ recovery from addiction, it is not the end as we also offer a highly integrated behavioural rehabilitation programme. Most inhabitants of Heene, High Salvington, Offington, Salvington and West Tarring avail of our Care Quality Commission approved 28-day detox, rehabilitation and aftercare plan, offered at our cocaine treatment facility. While we are a local specialist, Recovery Lighthouse is not limited to treating those suffering from cocaine addiction who live in the town of Worthing. 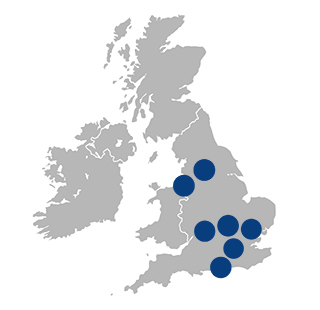 We are well placed geographically and by Sussex’s modern transport infrastructure to cater for those living in nearby, Brighton, Southampton, Littlehampton, Eastbourne, Portsmouth, Hastings and all others areas in East and West Sussex along with residents of the home counties and south-east of England in general. If you are looking for private rehab treatment for Cocaine use disorder, then call us today for a free assessment. If you live further afield, we can treat you in one of our 8 detox and rehab clinics across the UK – Call now on 0203 733 9983 and start your recovery journey! What Is Cocaine Use Disorder? Cocaine use disorder is defined as continued Cocaine usage in spite of negative consequences. Abuse, dependence and addiction all fall under CUD. If a person’s Cocaine consumption results in physical, emotional and/or psychosocial symptoms, then they are said to be experiencing either Cocaine abuse, dependency or addiction. Difference Between Cocaine Abuse, Dependency and Addiction? Cocaine abuse Is generally defined as a user who binges on cocaine, consuming a large amount over a short period of time. It also refers to someone who self-medicates, that is to relieve the emotional and psychological stresses and strains of life by using cocaine to temporarily numb the pain. The logic is that they need cocaine over short periods in order to get by but they are actually sowing the seeds of long-term dependency. Cocaine abuse may occur only 1-2x per month with breaks of several weeks at a time leading the user to believe they do not have a problem. When someone is abusing cocaine its not so much the amount/frequency of usage that is the tell-tale sign of a problem, it is the reasons underlying usage in the first place. Cocaine dependency is said to occur when a user becomes reliant on cocaine to function in life. Depression, anxiety, loneliness and emotional triggers resulting in more cocaine intoxication become more common and problem-solving disappears. The users answer to life’s ups and downs is more cocaine and more frequently. A person with a cocaine dependency may use daily but more often than not it may still be limited to 1 or 2x per week, which the user thinks is still social or manageable and therefore in their eyes, they are not an addict and can still stop if they wanted to. Someone who is addicted to cocaine is likely to be either using every day or between 1-3x per week. The reasons for using are purely psychological, even at an advanced stage of cocaine addiction, the body is not physically dependant on the substance. The addict has lost the ability to rationally interact with life and therefore can no longer function and perceives life as a barrier to happiness. Using cocaine becomes the answer to all life’s issues and effectively becomes their only perceived happiness. If you or a loved one are suffering from some level of Cocaine use disorder then please call us today and we can discuss your options! What are the main signs of Cocaine addiction? You want to stop taking Cocaine but cannot. You take Cocaine in larger quantities or more often than intended. You spend a lot of time getting, taking or recovering from taking Cocaine. You have cravings and urges for Cocaine. You cannot manage at work, home or with studies because of your Cocaine use. You take Cocaine again and again, even after swearing off it. You have emotional withdrawal symptoms when you try to stop. If you answer yes to 1 or more of the questions then call us now and speak to a trained addiction counsellor! Our specialist residential Cocaine intoxication recovery unit, Recovery Lighthouse, treats Cocaine abuse and dependency through an intensive course of managed detoxification, therapeutic counselling and behavioural holistic rehab Inc. cross addiction and relapse prevention workshops. Post-rehab lifetime aftercare is delivered through our industry-leading sober support programme called UKAT connections. Our CQC Cocaine recovery hospital is patient-focused from the outset, every aspect of treatment is designed for comfort and long-term healing. Our en-suite bedrooms are warmly decorated, our private chef prepares 3 meals a day on site and our recreational grounds are perfect for alone time, to relax and live in the moment of healing. Through a therapist-led managed detox programme the client becomes Cocaine free, then an intensive course of one-to-one and group therapy uncovers root causes of destructive behaviours. Holistic workshops deal with cross-addiction and relapse prevention which is usually high on patients’ agenda. Finally, our Cocaine hospital offers an award-winning free lifetime aftercare support network called UKAT connections that deliver sober companionship and socialising. What Is A Cocaine Detox? Our residential medical Cocaine detox is the most comfortable way to remove toxins from your body. Our clinical medical detox team consists of doctors, nurses, psychotherapists, and support workers meaning that every aspect of your physical, emotional and spiritual detox and recovery is monitored and treatment tailored accordingly. As Cocaine is not physically addictive you will not be prescribed a medical substitute as such but may be prescribed medication to help with anxiety and sleep problems. Our approach to detoxing Cocaine is nutritious, vitamin and mineral rich food, brisk walks and light gym exercise and behavioural therapy. Due to Cocaine not being physically addictive, you will be able to make use of gym facilities in order to sweat out the remnants of the drug. Brisk walks along the sea-front and local gym trips will also get you out and about and interacting with people. If you have any questions regarding our Cocaine use disorder treatment, locations and cost – we can answer them! Recovery Lighthouse in Worthing, West Sussex are Care Quality Commission Approved. We detox and rehabilitate those suffering from Cocaine conditions!